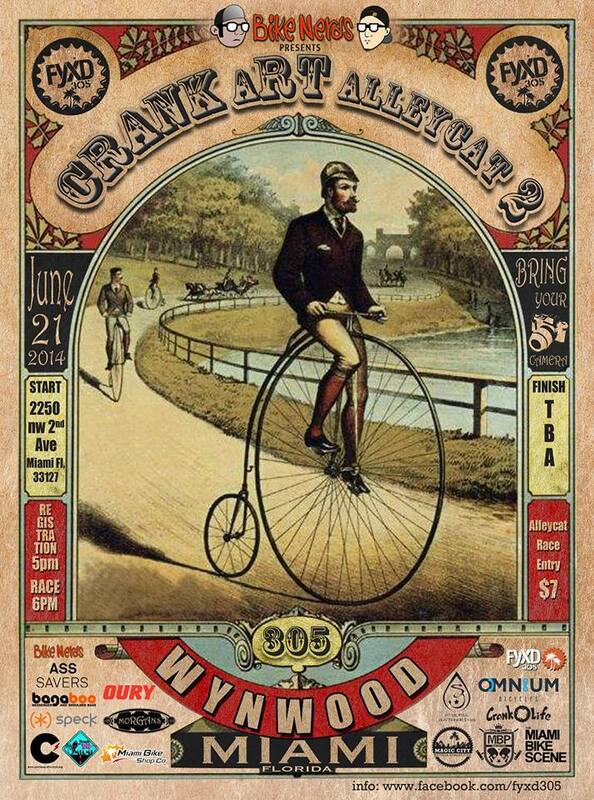 Bike Nerds and FYXD 305 present the 2nd annual CRANKaRT Alleycat on June 21st. Registration is at 5pm and the race starts at 6pm. This is an urban art/scavenger hunt styled race, a camera phone or digital camera is required. Expect to race through the streets of Miami while hitting up various murals or art installations along the way and photographing yourself with the art in background, the alleycat will begin in Wynwood and end at Graffé where there will be an after party and prize ceremony.